Among Buddhists death is regarded as an occasion of major spiritual significance, both for the deceased and for the survivors. For the deceased it marks the moment when the transition begins to a new mode of existence within the round of rebirths. When death occurs all the karmic forces that the dead person accumulated during the course of his or her lifetime become activated and set about determining the next rebirth. For the living, death is a powerful reminder of the Buddha’s teaching on impermanence; it also provides an opportunity to assist the deceased person as he or she fares on to the new existence. Burial is very rare in the Buddhist religion as the act of cremation symbolises the release of the deceased’s soul from the body allowing the re-birth of the soul. Among the important principles leading up to a funeral in the Buddhist tradition, believers practice mindfulness and gratefulness for their lives before they reach their deaths. A great deal of personal, spiritual work goes into planning for death, which understandably lends one to have a positive outlook and some amount of control when their time comes. Whether practicing Buddhism or not, it seems there are many valuable ideas we can take and use toward our own relationship with death and end-of-life experience. I just wanted to express my deepest condolences and most heartfelt sympathy to you and your family for Katie’s passing. I feel blessed to have known her for ever so briefly. Every time I spoke to her my day seemed just a bit brighter. I wish we could have done more for her. Despite everything we tried, we just couldn’t stop the wrath of the cancer. We need to work harder to find better solutions for this disease; I just wish we were a bit closer to the cure. If you or your family ever need anything, please let me or our “ninja” (Dr. Kizlbash) know. 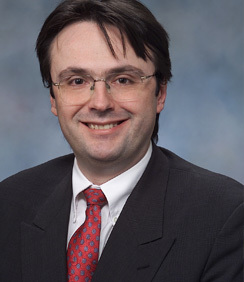 Markovic, Svetomir N., M.D., Ph.D. Thank you so much, I may say that a thousand more times in my lifetime, but my family and I were given the gift of you, Kizzy, and the rest of Kate’s team(s), and we will remain eternally grateful. There was always a sense of solace knowing that she had the very best soldiers on her front line. It is hard to not let our wheels spin with questions and “what ifs”, and you guys have really confirmed that we, mostly she, did everything possible. In our conversations about death, we often talked about how we would support Katie if she ever decided to not fight, (she often referred to “My Sister’s Keeper”) and it was only the night before she died that she looked at me and said for the first time “I don’t want to do this anymore”. I simply texted Kristine those words, and we just knew, like you must have when you saw her Tuesday morning. The thing is, I don’t think Katie would have ever given up the fight we all so believed in, her body had to simply shut her down because the valor and determination of her mind was so strong. I keep replaying that morning over and over again in my mind, plagued with feelings that I should have known, should have done more…flashbacks when she was scared, I couldn’t be stronger and hold back my tears… I think my sister, mom, Drew, and I left pieces of ourselves inside those moments with Kate, and now we are just beginning to rest and heal. By some odd coincidence, the dean of Katie’s grad program in D.C. as well as several others from SIT had called a World Learning Summit in Minneapolis yesterday. My mom, Kristine and I were invited and it was such a gift to be reminded of the life Katie had, the person she was BC (before cancer). Preeti, her dean was so enamored with Kate. She told us stories of how Katie would get so irritated with her unprepared classmates; interrupting their obtuse inquiries with “obviously you haven’t done the reading, don’t waste Preeti’s time with your questions…” It just made me think of her last Monday night when we thought her pain was out of control because we had missed her oral dialaudid all day, she told Dr. Desai, “I do not appreciate the care I am receiving, you need to fix this now”. Needless to say, he personally attended to her as they changed her meds and she was comfortable again. We had the opportunity to hear the story of a woman from Kenya, pursuing the same graduate degree Katie was, she talked with such energy and conviction (reminded us again of Katie) about her struggle to fight corruption and advocate for women’s rights in her country. I just had to ask her, “despite immense discouragement, what keeps you, just one person, fighting?” She just simply shrugged her shoulders, and with a smile said “it just makes you want to fight harder, do more.” I have seen that people like Naomi from Kenya, Katie in her fight with cancer, her Ninja doctors and mentors (you) and your tireless pursuit to cure, are truly special; when most would give up through such discouraging incidences, there are those few amazing people who “fight harder, do more” and “work harder to find better solutions…” I now understand why she felt such a connection to you, her ninja-like “big brother”, Dr. Oliver … – it came with your incredible shared perseverance. Keep doing what you do, what you did for Katie. It’s been hard to reflect, especially over the past two months, on just how sick she was getting. We just slowly became numb to the gravity of her disease, her deterioration, and the pain she must have been in. She, without complaint, went through so much. Getting to know the part of Katie she was forced to leave in D.C., and reading/receiving all the messages from our Mayo family has really helped to heal the pain cancer had ravaged our Katie, and family with. Kate left us the gift of her words, read her blog if you ever let yourself have a little free time… I think you’ll find a few laughs in there 🙂 Thank you again for everything, and please share with our people down there. There is something that my colleagues and I often say to one another… It always seems that the most resistant cancers happen to the nicest people. It would be hard for me to find a better example of that statement than Katie. I remember the day that we first met at St. Mary’s hospital – admitted with a mass in her chest, awaiting a biopsy, surrounded by her concerned family members. However, despite the uncertainty of what lay ahead, she remained cool headed and strong – betraying the resilience that she demonstrated in battling her cancer over the year or so that followed. I must admit that I would look forward to meeting Katie at her appointments as they would always brighten up my day. Furthermore, I can say with certainty, that many of the other staff at Mayo shared similar sentiments. Many other trainees and staff would often ask me how Katie was doing, how far she is along with her treatment, when I would next be seeing her, etc. Why wouldn’t they want to be a part of her life? She was pleasant to interact with, intelligent, always full of questions and planning as far into the future as she possibly could. Frequently, we would end up discussing every possible permutation (and perhaps a few more) of what could happen and how that issue would be addressed. I actively had to hold her back and remind her that cancer is too unpredictable to be thought of as a road to which one needs to get to the end of as soon as possible. Rather, as described by one of our past fellows who himself passed away from cancer, it needs to be considered a journey that one needs to travel through. Finally, when it comes to cancer, having a good support system is crucial. If I recall correctly, I believe Katie only came alone to one single appointment. Otherwise, her doting family members would always be there to help her pull through all the acronyms that I kept inundating her with. So, thank you all for being there for her when she needed it most. In my culture, when someone passes away, we say, “Surely we belong to God, and to Him we shall return.” Katie has indeed moved on, however her presence will be missed and I won’t forget her. “10. Humility in people is inspiring. ” GO CONFIDENTLY IN THE DIRECTION OF YOUR DREAMS! Lymphoma caused unexpected complications leading to a sudden deterioration of Katie’s health. She died late Tuesday night. We were blessed to have Katie for 26 years, but she has left her temple to embark on the next journey. We find peace in knowing her father will be waiting. SEVEN Event Center in downtown Minneapolis from 1PM – 4PM. speak and share any stories or memories.